Apple’s next generation AirPods Bluetooth headphones will deliver improved sound and a handful of other new features, according to a new report from rumour website MySmartPrice. Citing a “trusted source,” MySmartPrice writes the AirPods 2 will look “largely identical” to Apple’s current pair of Bluetooth in-ear headphones, but will offer improved bass response thanks to new internals. New sensors will add health tracking features to the accessory, as well. Additionally, the website reports the AirPods 2 will feature a new coating, similar to the one that Google employs with the Pixel 3, that is supposed to make the earbuds easier to grip. Interestingly, MySmartPrice also notes Apple is likely to use this same material in its new ‘high-end’ iPhone 11 model. Apple will offer the AirPods 2 in a new black colour, in addition to standard white, writes the website. Battery life will remain almost identical to Apple’s current pair of AirPods. 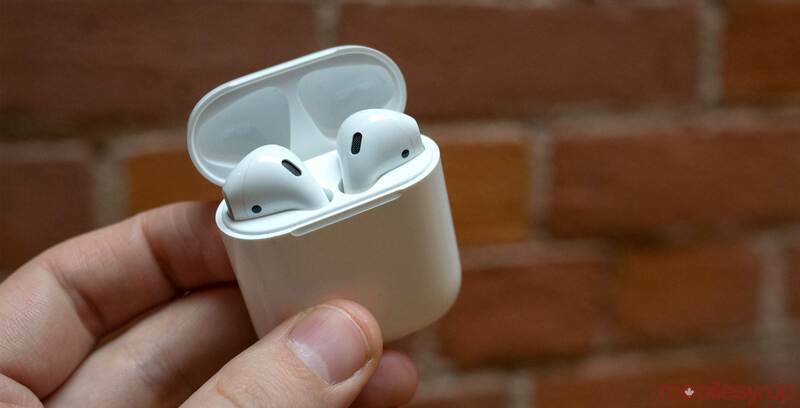 All of this will come with a price increase, with MySmartPrice writing that the AirPods 2 will cost $200 USD (approximately $265 CAD at the time of this article), up from $159 USD. In Canada, a pair of AirPods currently cost $219 CAD. In the same report, MySmartPrice also writes that Apple will finally launch its long in-development AirPower inductive charging mat this spring. According to the website, the final product is slightly thicker than the device Apple showed off back in 2017. This is due to a new 8-7-7 coil configuration. That said, the website writes that Apple is working on several “exclusive” AirPower features that will launch alongside iOS 13. At launch, the accessory will cost $150 USD (approximately $199 CAD). Lastly, Apple will release a new wireless charging case for the current generation AirPods. One thing to note is that MySmartPrice doesn’t have an established track record when it comes to Apple rumours, so as usual, treat everything above with a good amount of skepticism.